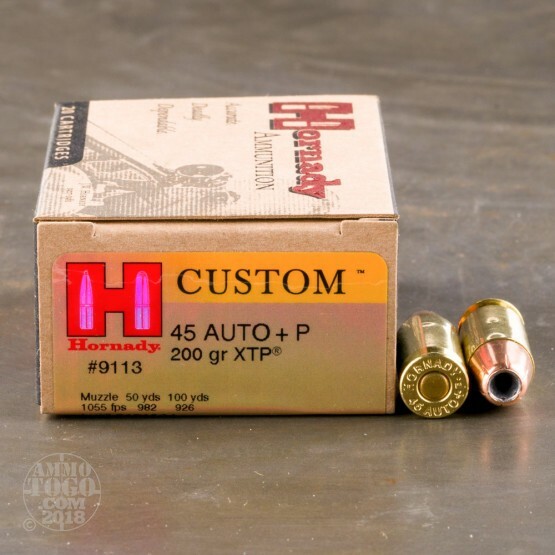 You get 20 rounds of Hornady Custom .45 ACP (Auto) ammunition. 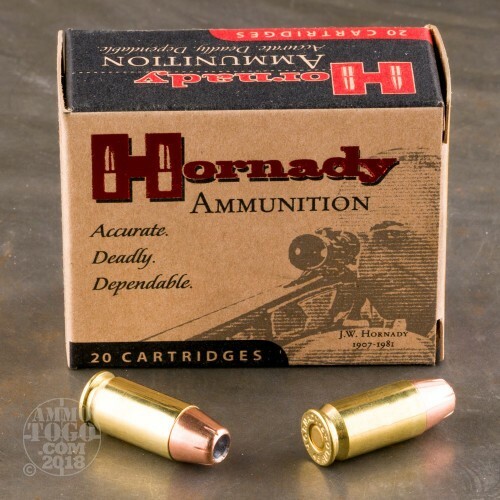 Hornady has been a leader in the ammunition industry for decades. Built to deliver the highest possible performance, Hornady uses only the highest quality components to manufacture their products. 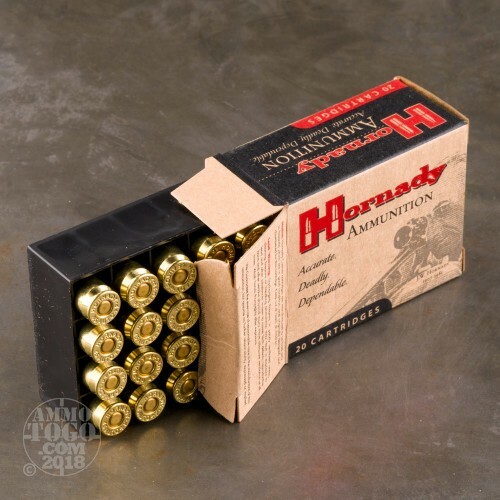 You can count on Hornady to provide record-setting accuracy, impressive ballistic coefficients, unmatched terminal performance, and precise lot-to-lot consistency. Each of these factory fresh cartridges is loaded with a 200 grain XTP (eXtreme Terminal Performance) jacketed hollow point projectile. Specially engineered to withstand incredible velocities, XTP bullets still deliver controlled expansion and near 100 percent weight retention. One of the most popular handgun bullets for both target shooters and hunters, XTP projectiles deliver pinpoint accuracy, reliable terminal expansion, and deep penetration. 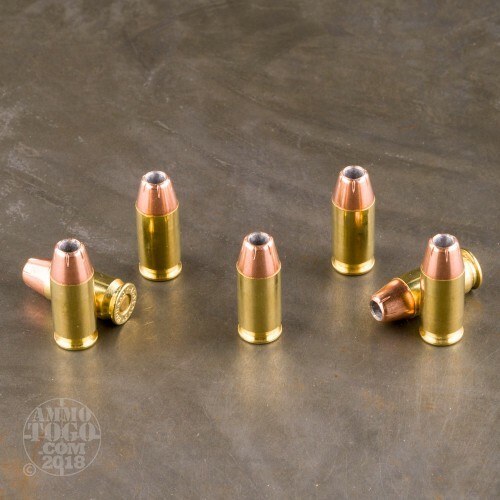 Each of these +P overpressure rounds produces a muzzle velocity of 1055 feet per second and a muzzle energy of 494 foot pounds. This ammunition is brass cased, boxer primed, non-magnetic, and non-corrosive.